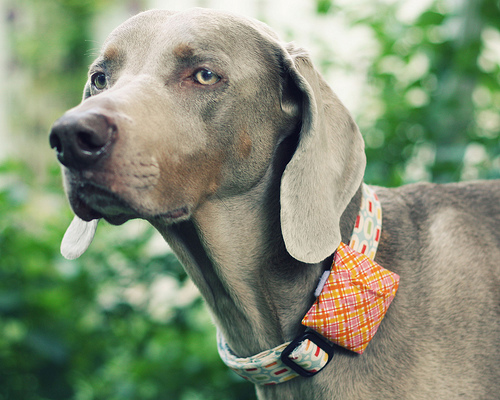 We’ve pulled together free projects and tutorials to sew for pets of all kinds, big and small! And not just for our favorite cats and dogs, but we’ve also found some great pet projects for little furry friends as well. And scroll all the way down the post for a special treat for our egg-laying feathered friends! 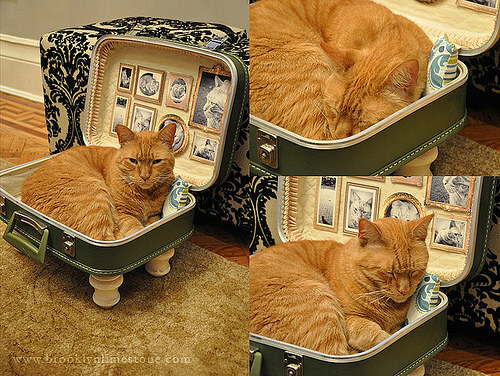 Turn an old suitcase into a deluxe bed for a cat (or other small furry friend) with this tutorial from Chic on the Cheap: Pet Bed Step By Step. 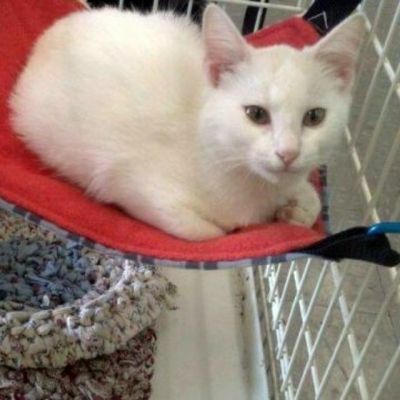 If you kitty is looking for a place to hang out, try making a custom hammock with this tutorial from Crafts on Squidoo: Cat Hammocks. It’s not just kitties that love to hang in a hammock, we hear that ferrets love them, too! 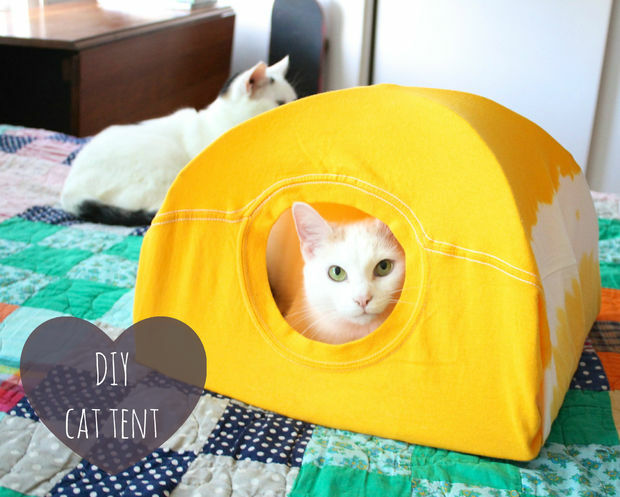 Turn an old t-shirt into a hide-out for your cat with the DIY Cat Tent tutorial from Instructables. More than anything cats love to play, and they’ll love playing with these catnip infused “Kit-tea” toys. 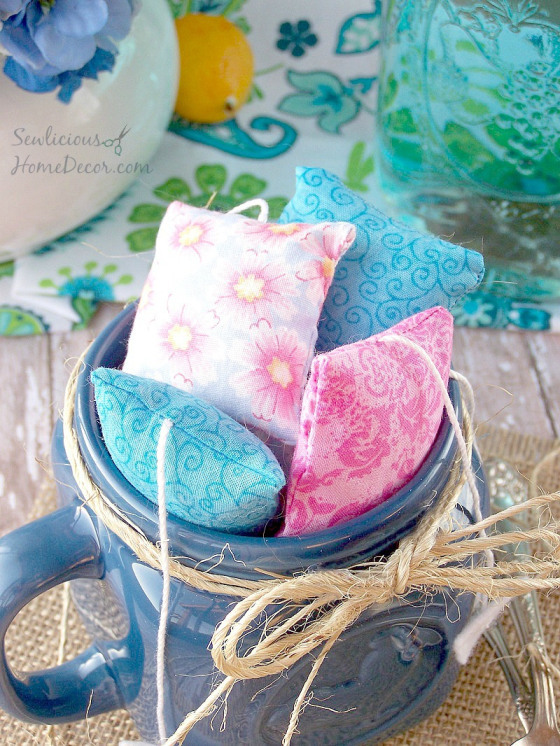 Find the Kit-Tea Catnip Toy tutorial from Sewilicious. 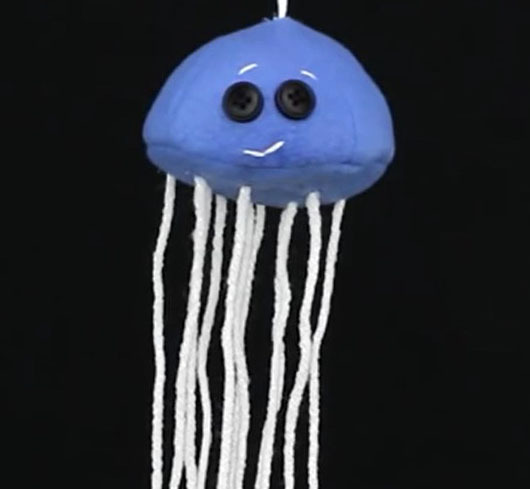 Make a playful jellyfish for your cat with the How To Make A Jellyfish Cat Toy tutorial from here at WeAllSew. 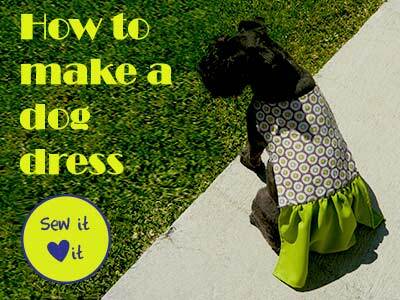 Create a pretty frock for your favorite friend with Sew It Love It’s Easy Dog Dress pattern and tutorial. 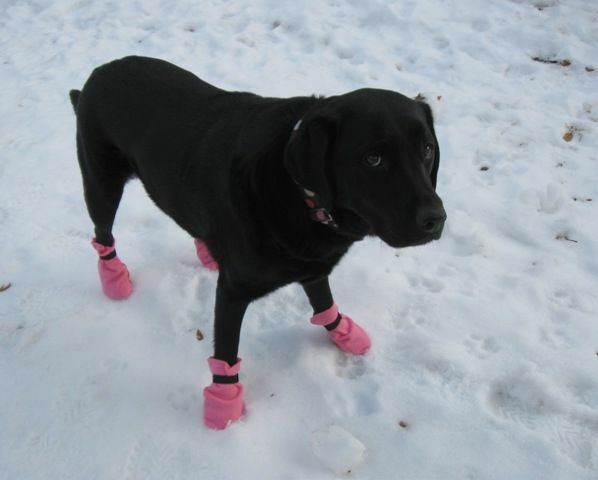 Get ready for the cold and snow by making your four-legged friend a set of snow boots with Instructable’s 10 Minute Dog Boots tutorial. You won’t forget a baggie if there is always one stashed in your pooch’s pouch! 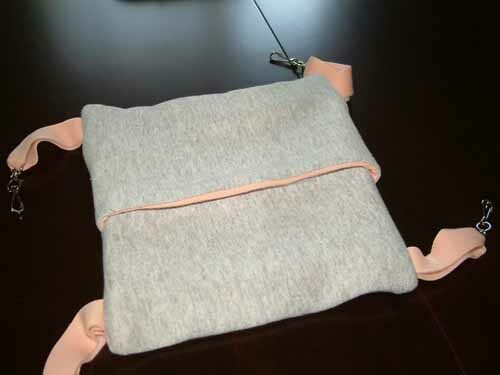 Get The B-Line’s Pet Pouch tutorial. 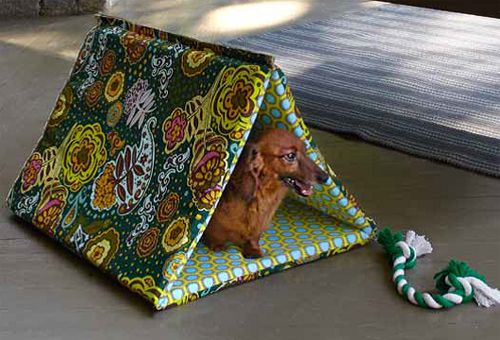 Make a pretty pup tent for your furry friend with our very own Puppy Hut tutorial. 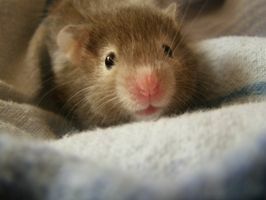 Small animals love to hide in small spaces, and your little pet is sure to love this Cuddle Sack tutorial from eHow. Small animals also love to hang out in hammocks, and this one is both cuddly and washable! Learn how to make a homemade hammock with this tutorial from About Home. This project not only keeps your feathered friends looking good, but can help save them from being hen-pecked! 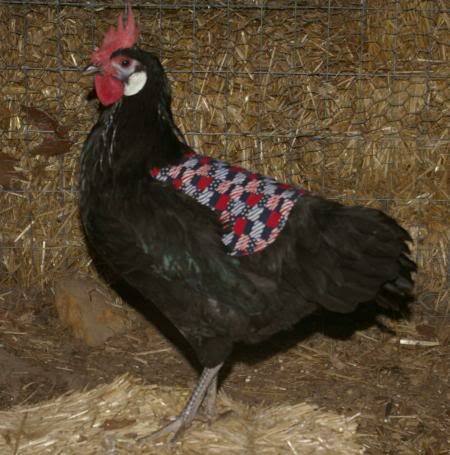 Find the free tutorial and pattern here to make the Hen Saddle pictured above, and also check out the Instructables Hen Saddle pattern and tutorial.